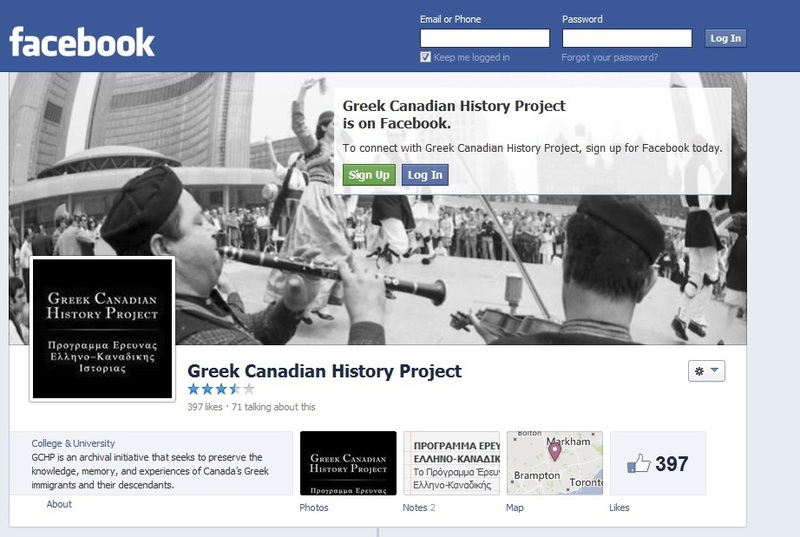 The GCHP has launched its official Facebook page. This will be a more interactive portal that will provide updates regarding GCHP collections and events. As the GCHP plans an official launch and gains more collections, we hope that you can encourage more participation in the project, particularly with elderly Greek Canadians who hold valuable materials that speak to their immigrant experiences.